Dave & Fran Orlando, owners of the Leeward Inn, welcome you to enjoy their beach oasis, a retreat tucked away from everyday life. They both have full time jobs, but love to be at the Leeward Inn whenever they can. Dave & Fran have been married for more than 30 years and have two grown children. The Orlando family has been vacationing in the Outer Banks for over 20 years. 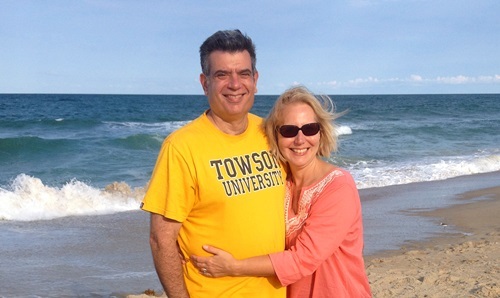 Dave & Fran immediately fell in love with the pristine sand beaches, blue ocean water and the laid-back OBX lifestyle. When not on the beach, they love relaxing at the Leeward Inn's pool or enjoying a hammock nap in the shade of the deck. The Leeward Inn embodies our beach home experience gained from two decades of vacationing on the Outer Banks. We're sure that the Leeward Inn will provide the perfect place for your family to enjoy a great beach vacation.